Nine physician organizations have each identified five tests or procedures that may be overused or unnecessary as part of the Choosing Wisely campaign led by the ABIM Foundation, with Consumer Reports, in an effort to improve health care quality and patient safety. Patient advocates are calling the move a significant step toward improving the quality and safety of health care. As the nation increasingly focuses on ways to provide safer, higher-quality care to patients, the overuse of healthcare resources is an issue of considerable concern. Many experts agree that the current way health care isdelivered in the U.S. contains too much waste – with some stating that as much as 30 percent of care delivered isduplicative or unnecessary and may not improve people’s health. In fact, such unnecessary care may harm orhinder patients’ health. Build this information into your employee communication campaigns. Armed with this information, employees can have important discussions with their physicians and avoid tests or procedures that add no clinical value and save costs. MBGH is incorporating this information into our "Getting Quality Care" tool kit to make it easy for our members to present this information to your employees. Talk with your health plan about how they plan to incorporate the lists into their decision support tools, coaching, disease management and utilization management programs. Ask them how these lists are being addressed in their patient-centered medical home practices. Get details on how the health plan is communicating with their physician network about these lists. 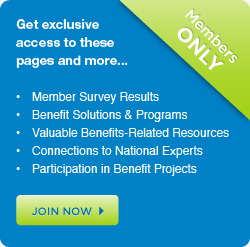 The complete lists from the specialty societies are available below and include additional detail and evidentiary information communicating when a particular test or treatment may be appropriate based on clinical evidence and guidelines. « Will CFOs Play or Pay Under Healthcare Reform?